Traffic is moving slowly and officers are monitoring the situation. 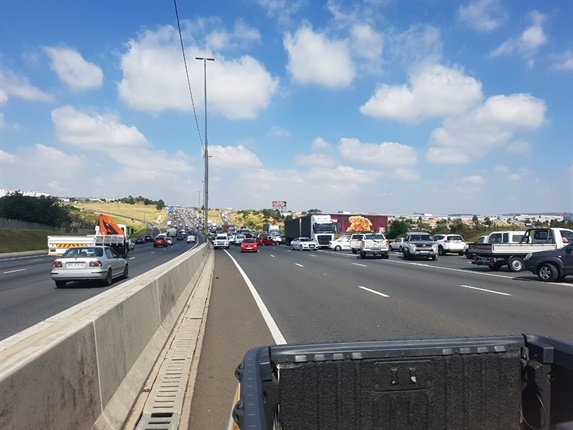 JMPD spokesperson Wayne Minnaar said two lanes have been re-opened on N3 north-bound. However, protesters are throwing stones from the top of a bridge. The N3 northbound is at a complete standstill, motorists have been waiting for at least 30 minutes with no movement. Alexandra police spokesperson Captain Stephen Malatji said they have arrested two people including a ringleader. The JMPD will act to prevent protesters in Alexandra from blocking the N3 highway. Marchers are moving near the Marlboro Gautrain Station and say that they want to shut down the N3. "We will stop them before they go on to the N3," JMPD spokesperson Wayne Minnaar told News24. He added that a number of officers are on standby to deal with the protest. "We have a huge contingent deployed in around Alex. We will definitely disperse the crowd if they want to go on to the N3." There was a call for Mayor Herman Mashaba to address the crowd, but Minnaar said that mayoral committee member for public safety would address them. "That crowd is moving to Lenin Road to meet with the MMC Michael Sun," Minnaar said. 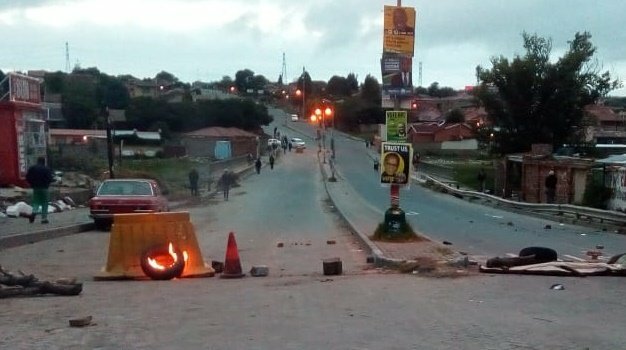 The situation in Alexandra remains volatile as protesters demand that City of Johannesburg Mayor Herman Mashaba address them. 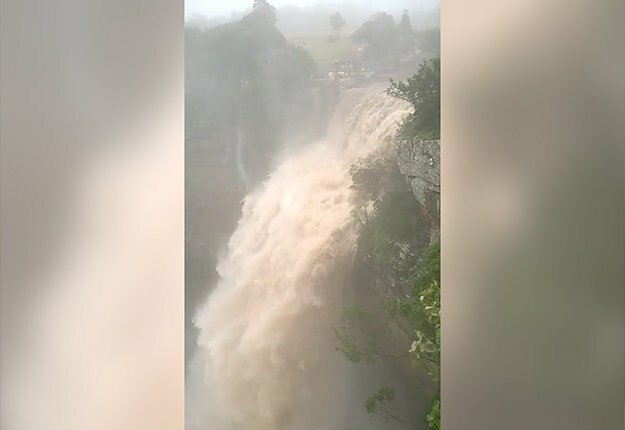 "People are continuing to protest and our members are there at the scene monitoring the situation," Police Colonel Lungelo Dlamini told News24. Some social posts claimed that police used live ammunition, but the police denied this. "We don't use live ammunition on protests," said Dlamini. He described the protests as "a bit violent" and said that no injuries have been reported. One of our @SHOUTSA libraries is in Alex. I am there often, and I am always shocked at the state of the roads, the amount of trash, general pollution etc. The people of Alex deserve better. Let's hope government responds swiftly and efficiently #AlexTotalShutDown ???? What's becoming clear is that this is a coordinated ploy by Luthuli House. Mayor Mashaba is always present on the ground in Alex, and has invested significantly. Where is the Alex Rejuvenation money Mr Mbalula?? A cat and mouse battle in Alexandra between police and residents.